For the 13th year we're walking across Los Angeles -- this time down 6th Street, through Koreatown, and then on to the ocean! Save the date: Saturday, Nov. 17, 2018 at 9 a.m. -- Meet at Pershing Square! Make sure you're on the email list! And check back here for more details! For the 12th Annual Great Los Angeles Walk, we're tackling Beverly Boulevard. 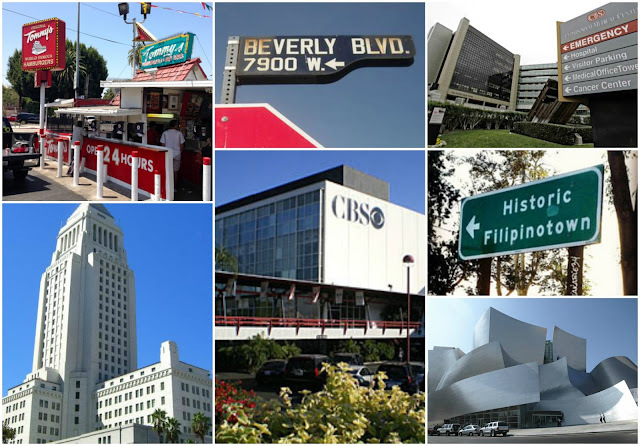 From downtown, we'll start off on 1st Street in Little Tokyo (location to be determined soon), and pass by City Hall and the Walt Disney Concert Hall, and continue heading west as 1st turns into Beverly. From there it's an interesting walk through Historic Filipinotown, East Hollywood, Hollywood and West Hollywood. We'll pass by the original Tommy's; CBS Television City (hey, maybe we'll run into James Corden performing in the crosswalk! ); the perpetually under construction Beverly Center; Cedars-Sinai; and much more. Beverly ends when it hits Santa Monica Blvd. ; from there, we'll hike down the familiar Santa Monica Blvd, to the ocean. It made sense to finally walk Beverly, even though it doesn't make it all the way to the ocean; we did the same thing in years past with Melrose, Hollywood, Sunset and Santa Monica; it only makes sense to now hit the pavement on Beverly. Stay tuned for more details! Always check www.greatlawalk.com for updates, and feel free to drop us a line at greatlawalk@mail.com to let us know you're coming! Most importantly: The date for the walk is SATURDAY, NOVEMBER 18, 2017 at 9 am. (It's always the Saturday before Thanksgiving -- just remember that!) More details to come! But in the meantime, to get our Great Los Angeles Walk: Beverly Boulevard started, here's one video tour of part of the street. Contact us at greatlawalk@mail.com if you'd like to partner with this year's event! Great Los Angeles Walk 2014: Ventura Blvd.